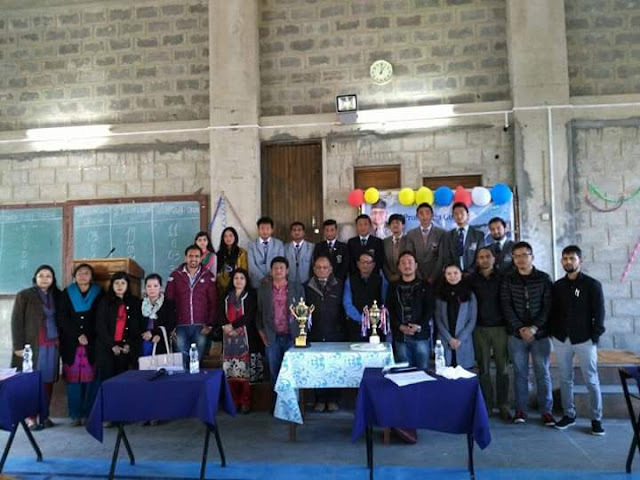 The second Philip Gurung memorial Inter college quiz competition was organised by the Dept of History of St.Joseph's college, Darjeeling on the 19th Nov 2016. The participating colleges were Salesian college Sonada, Sonada Degree College, Ghoom Jorebunglow College, Southfield college and St..Josephs college Darjeeling. St. Joseph's college represented by Debarrop Paul Chaudary and Jyordden Bhutia were the winners. The 1st runner up was Salesian college, Sonada and the 2nd runner up was Southfield college. The chief guest for the day was Retd.prof Mr K Lal and Prakash Gurung, son of Late Philip Gurung. The quiz was conducted by Dr. Fr. KJ Joseph SJ.